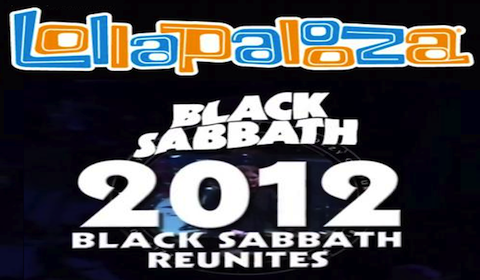 Black Sabbath will headline the Lollapalooza festival on Friday, August 3rd . "Every festival in the world wanted Black Sabbath to perform, but at the time of the announcement they had to back off and cancel all their shows," Farrell tells RollingStone from São Paulo, Brasil, where the Jane's Addicition frontman was on hand to debut the South American country's first-ever installment of Lollapalooza last weekend. "It broke my heart, but I just kind of kept a little fire building, a little kindling going to see if possibly we could get Black Sabbath. I didn't have much faith." (...) "They mean so much to me, and they mean so much to music in general, that I kind of feel like I'm dreaming to know that Black Sabbath is actually gonna perform at Lollapalooza," says Farrell. It has not yet been confirmed if Bill Ward`s gonna join the original line up. Stay tuned for updates!